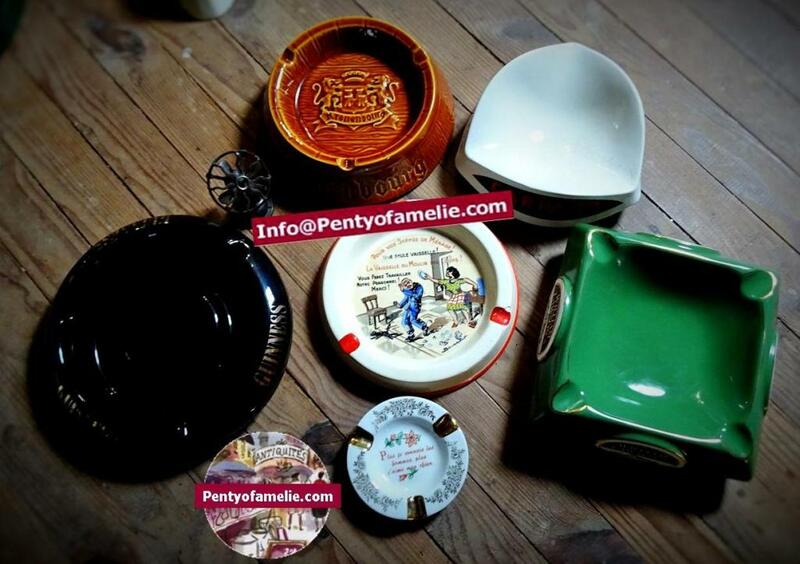 A nice selection of various Collectible Brands, Colorful Retro Ashtrays. Some are Rare Tray set. Made of Ceramic Faïence and Glass, part of Tobacciana Smoking Supplies. 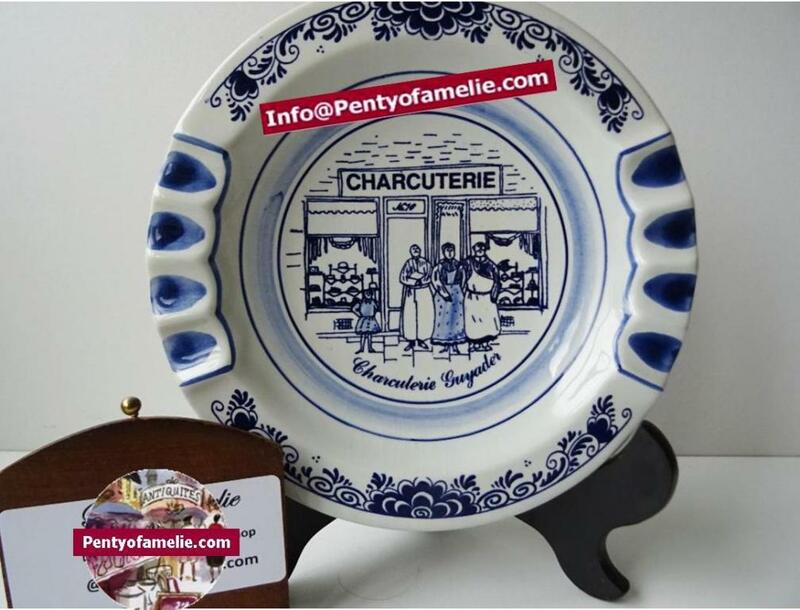 Also used as pickle dishes, storage trays . All available for sale. You are free to ask single or a set. 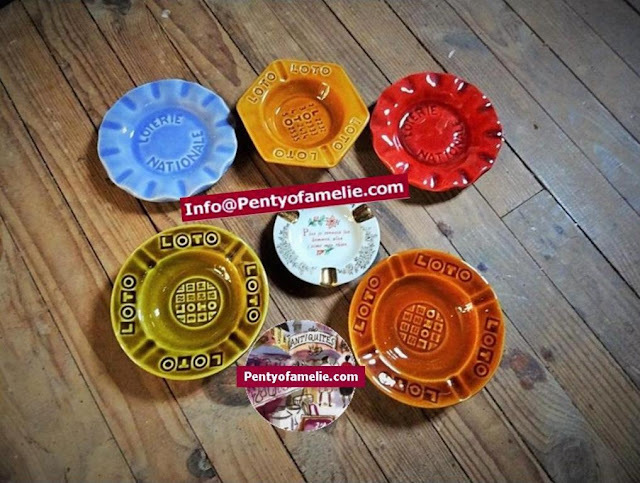 Vintage set of French Loto Ashtrays from Gien, St Clement Pottery. National Lottery advertising ash trays made in France. Another mix of Martini, Suze, Beer Whiskey Ads ashtrays in Glass, Porcelain and ceramics. Small Fisher Beer amber glass, "Gitanes" cigarettes blue glass, Martini Opalex, very nice deep green "J&B whisky" ashtray & water jug, plus plastic platter included. Famous Suze in yellow/red, porcelain by Orchies moulin des loups. 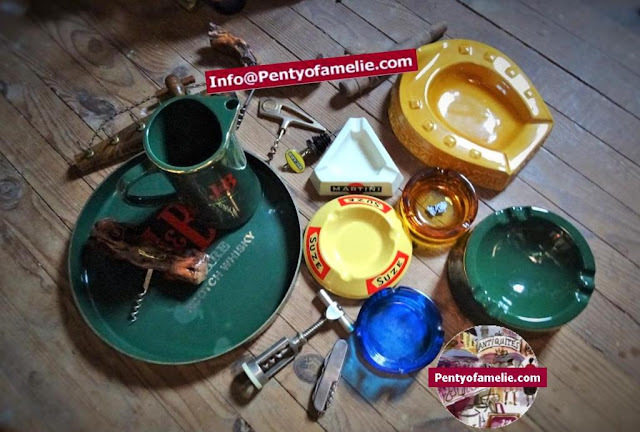 French wine "Santa Rosa" Ads for the large straw yellow ceramic Horseshoe ashtray. 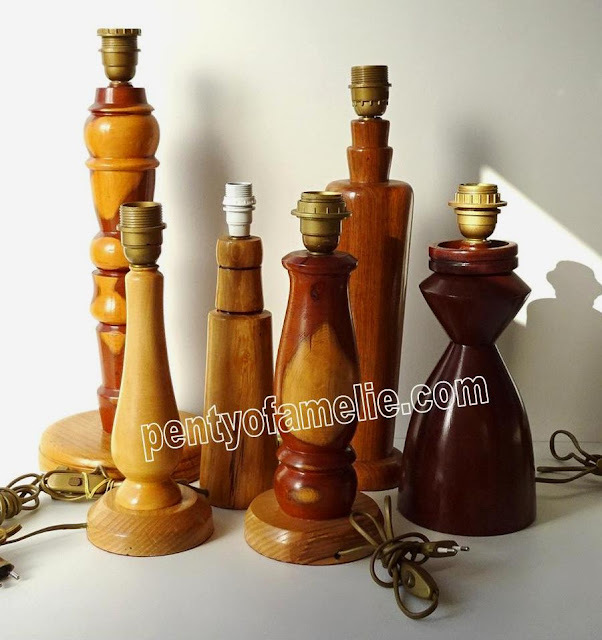 Plus various Barware sets; bottle openers, vine corkscrews. 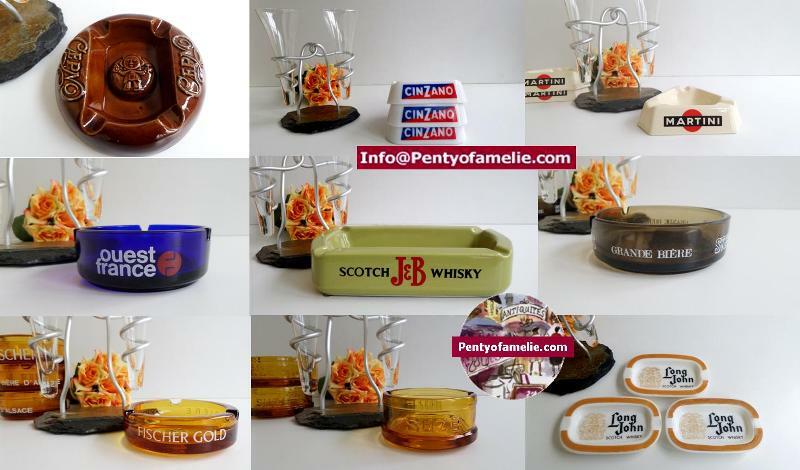 Large and quite Rare vintage Beer Whisky Ads ashtrays made in France and Europe. Kronenbourg Beer ceramic wooden barrel motif, in toffee color. Guinness ashtray in black with golden accents, Vermouth white ceramic, William Lawson's whiskey in vibrant green. very rare ceramic ashtray depicting a "domestic dispute" ; advertising tray made by Moulin des Loups housewares Company. Collectable Brands Ricard Cognac Perrier smoking ashtrays made in France. 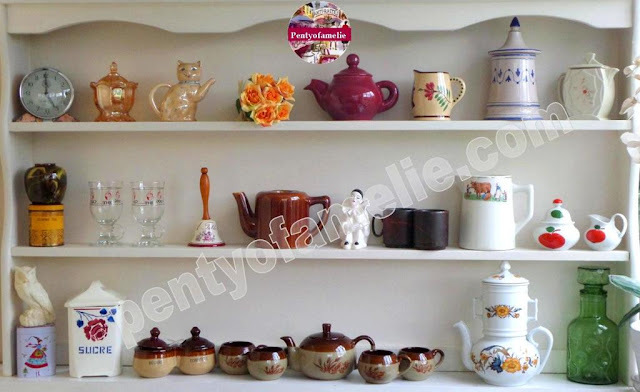 Such another lovely collection in large, medium sizes and various shapes. 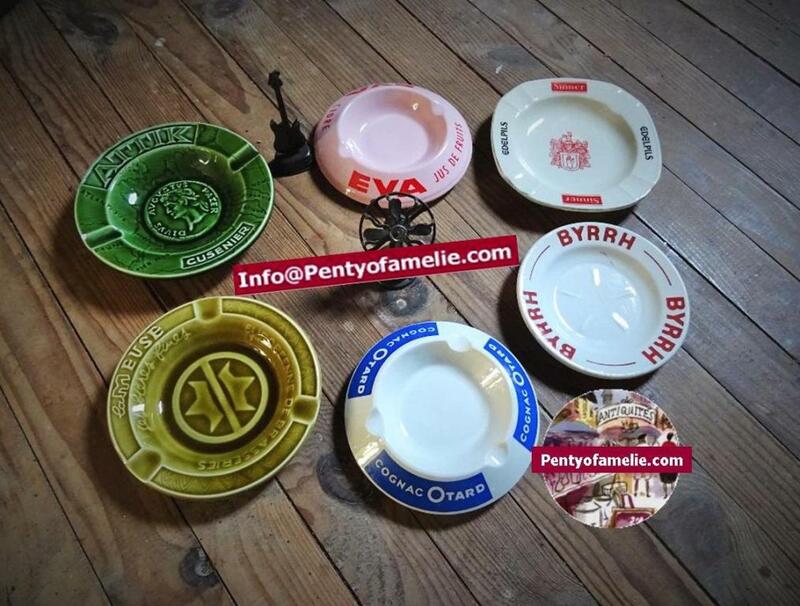 Porcelain, ceramic, faience ashtrays made in France. 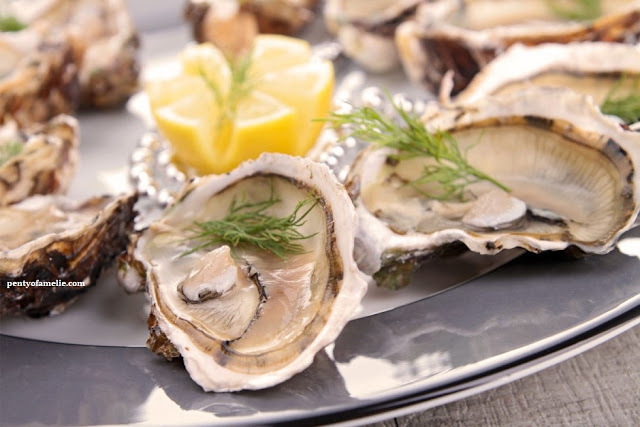 Renowned Brands as Ricard, Grant's, St Raphael, Cognac Bisquit and Martel, Champagne Abel Lepitre, "Gauloises" cigarettes. Last, the Famous Green Perrier. 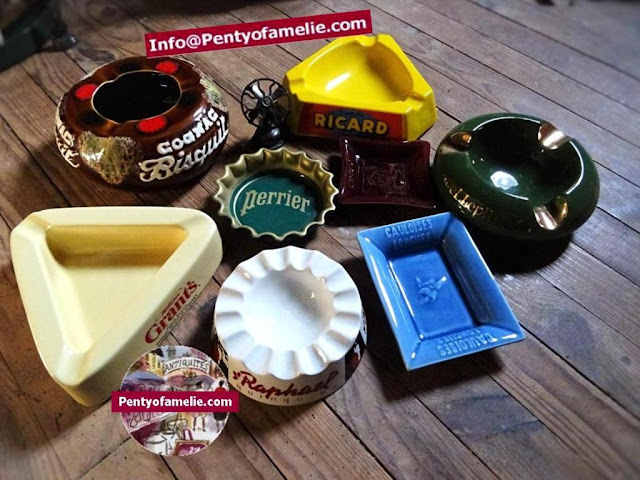 Collectible Ads ashtrays made in France. 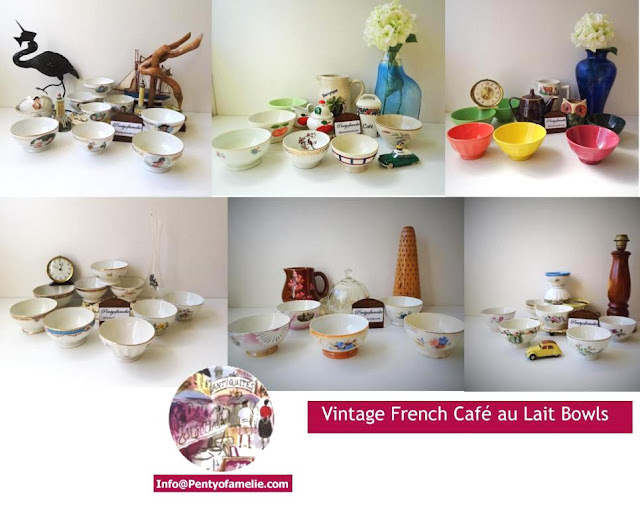 La Meuse Beer Ads, Cognac Otaro, Cusenier Attik liquor, the well-known Red Byrrh, as aromatised wine-based apéritif, Eva fruit juice all made of faience, porcelain. 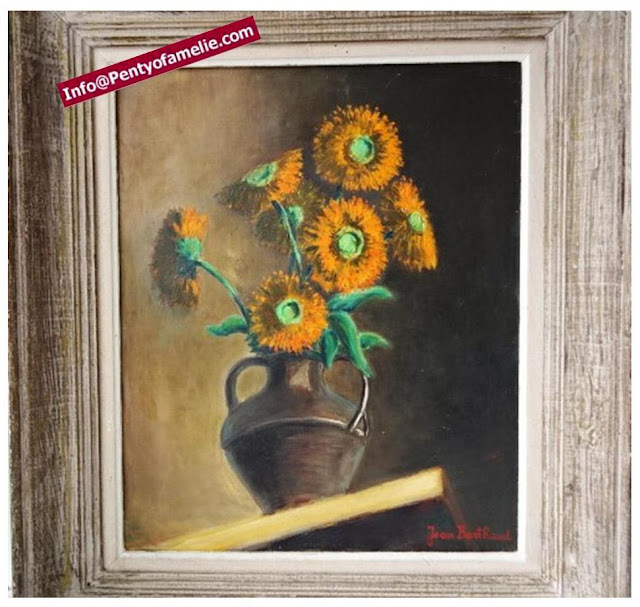 Another ashtray grabbed your attention but not priced? please contact us. Collectible French Advertising smoking ashtrays in Porcelain and Ceramics, Amber Blue Glass.